I worked quite a bit on sketching this week, but I could have concentrated more than I did on the illustrations for my picture book. I did 18 doodles and only filled one page of my (admittedly large) project sketchbook. I finished the hedgehog, too. My take-away lesson from the hedgehog is: Planning is important. If I don't plan something, I shouldn't be disappointed or discouraged if the back- and foreground are not integrated. So, even if I'm doing something to horse around, I might want to think it through a bit more. I took both my doodle book and sketchbook to the library on Thursday, only to find that the library was closed due to it being a holiday (anniversary of the 2nd revolution). 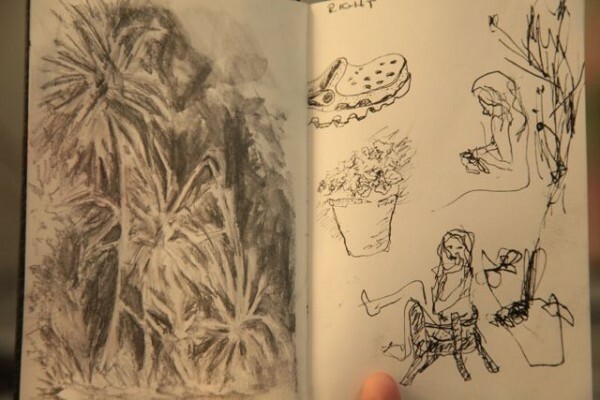 So I went to sit in a "park" near my house instead, which is where I did the sketch on the lefthand page. 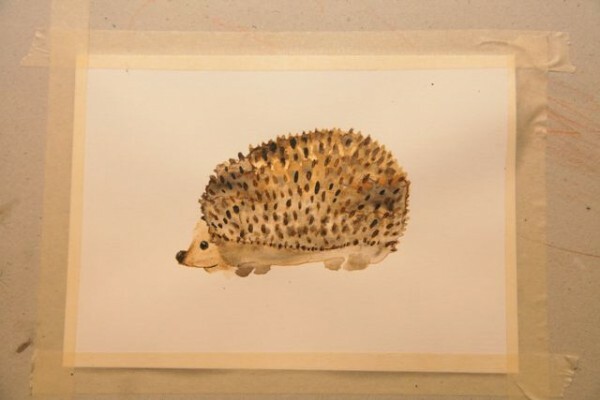 Here is the finished (and pretty muddy looking) hedgehog, with a re-post of its beginning. This week's goal is to concentrate on the picture book illustrations and do a doodle a day. 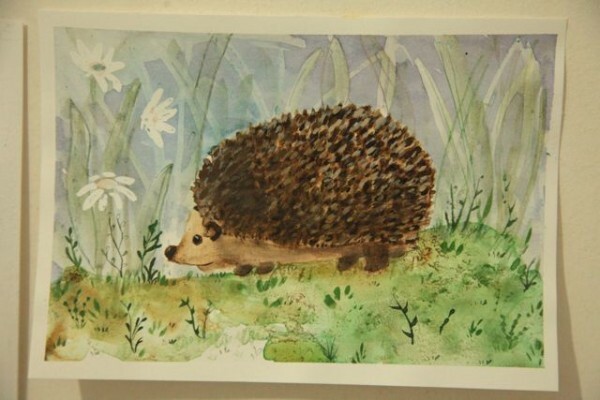 Awww, the finished hedgehog picture is gorgeous! You're so good! And the palms on the left top look like Florida's saw palmetto. Thank you, dearie. Can't wait to read more about your trip!